I have been a passionate exponent of design for nearly 30 years and a firm believer in the power of design as a tool to promote. A tool to promote people, places, events, ideas and things. A designer promotes culture, whether it be corporate culture or a reflection of society in general. I began my obsession with design by studying bento boxes (and devouring their contents) as a young boy in Honolulu, Hawaii. The order and functionality of that particular meal was the impetus for my understanding how good design enhances one’s experience. Growing up in the multi-ethnic composite Hawaiian culture made me understand that we can communicate ideas that may be foreign (or new) to others by showing their commonalities versus their differences. My art studies began as a painter at the University of Hawaii at Manoa until my eyes were opened to something called graphic design. Graphic design was everything I had always wanted to do, only I didn’t know it. I quickly followed that lead to The University of Illinois at Urbana-Champaign where I earned my BFA. My professional life started in the office of Strandell Design where I was given the opportunity to design corporate identities, publications, packaging, illustrations and various design collateral for Fortune 500 companies. The following year I broke off and started my own practice…ultimately opening the design studio: Yellow. 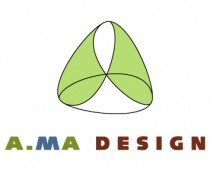 In 1993 I co-founded the design firm Tanagram, Inc. where we applied our expertise to various sized brands. Tanagram, Inc. was dedicated to developing and applying brands strategically across multiple mediums. There, I was able to apply my craft to all manner of design projects, from corporate identity to printed collateral, to packaging (both structural and surface applications) and in later years to electronic media. During those years we eagerly explored the (then) “new” electronic medium and were early proponents of the possibilities of it being a viable marketing tool. We developed CD-ROM sales tools as well as early applications to the internet. In 2000 I joined Leapnet, Inc. as one of two executive creative directors and was charged with hiring a top notch crew, integrating work processes between the technology groups and the creative teams, developing an internal “continuing education” program for its employees, and having executive creative oversight over all of Leapnet’s creative solutions. My client roster reflects my love for a broad spectrum of subjects and includes Nike, Hyatt Hotels, Spiegel, Inc., Apple Computers, Steelcase, Inc., Kraft Foods, Inc., The University of Chicago, Marilyn Miglin Cosmetics, Motorola, Anderson Consulting, American Academy of Pediatrics, DePaul University, Michigan State University, US Robotics/3 Com, American Academy of Orthopedic Surgeons, Environmental Protection Agency and Valence Health. Over the years, my work has been featured in numerous books and publications, including Chicago Graphic Design, Cool Type, Non Traditional Design, Visual Identity in Chicago, 27 Chicago Designers, Advertising Age, Adweek, Communication Arts, How Magazine, I.D. Magazine, Flash Magazine, Print Magazine and Graphis. My work has also been displayed in numerous design exhibitions and has received many awards from major design competitions, which may be found in my curriculum vitae. In 1991 I was inducted into the 27 Chicago Designers, a historical design organization that was established in 1936 to promote the Chicago design scene abroad. I believe that I received a top notch design education and that keeping a degree of academia in my practice gave me the roots to employ a vision in my work. I was eager to employ my methods in the real world and as a result never returned to pursue an advanced degree. As an adjunct to my love for academia I have also taught undergraduate design, part time, at the School of the Art Institute of Chicago and graduate seminars at the University of Illinois at Urbana-Champaign. I have also spoken at various conferences around the country on design issues, technology and education.